An 18 wheeler made a u-turn at the Sands Motel on Broadway last week taking a piece of the landmark sign with it. The Conoly family is seeking damages and hope to have the iconic symbol of Van Horn restored. 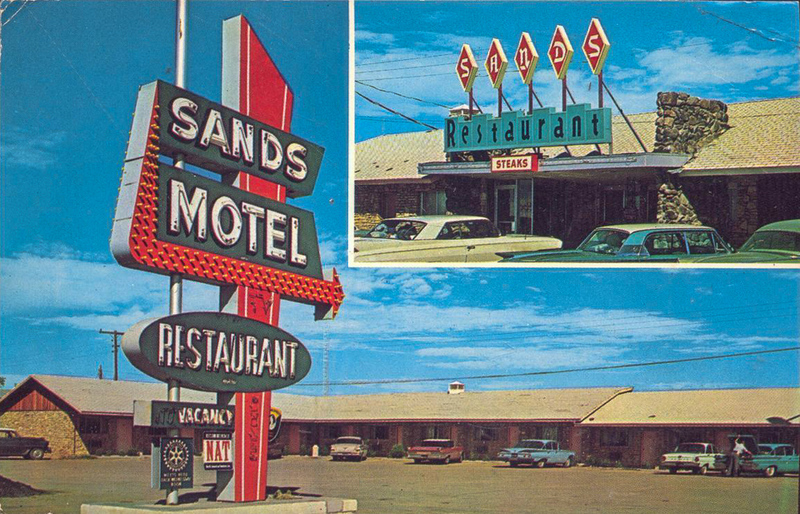 Vintage postcard of Sands Motel in its heyday.